The journey to the polar bear’s icy habitat is a long one from England, and always an adventure. On this occasion it became eventful before I’d even left civilisation, as my bag went astray in Montreal and I made an unplanned detour to Ottawa. Yet, four flights later, I reached Winnipeg, Manitoba, without any winter clothes but with minutes to spare to cross town for the evening’s musical entertainment. 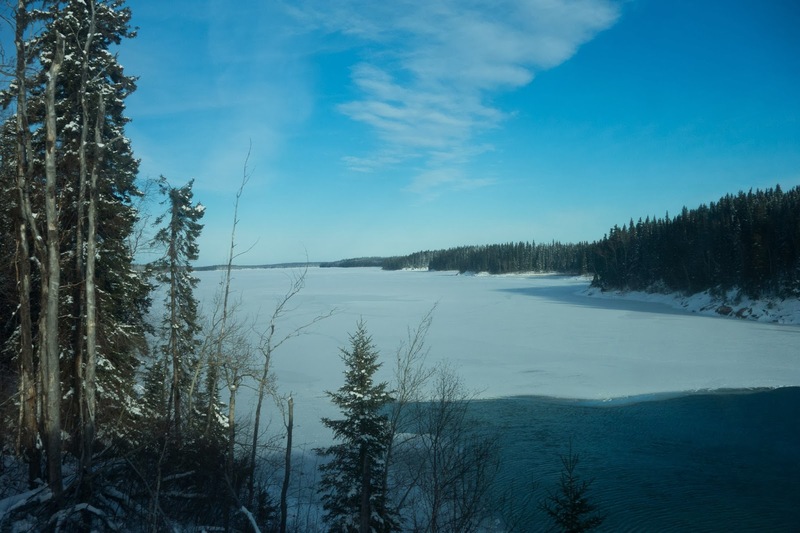 I’m writing this on the remarkable train journey to Churchill, in western Hudson Bay. The sun is setting, 48 hours after I departed from Manchester, England, yet dawn will break twice again before I reach the final destination. I’m currently accompanied by just 2 members of the Great Bear Foundation party, Chris and Jane from Ontario. They’re most friendly. Chris just revealed to me that he makes cellos as a hobby; each one takes him 300 hours. 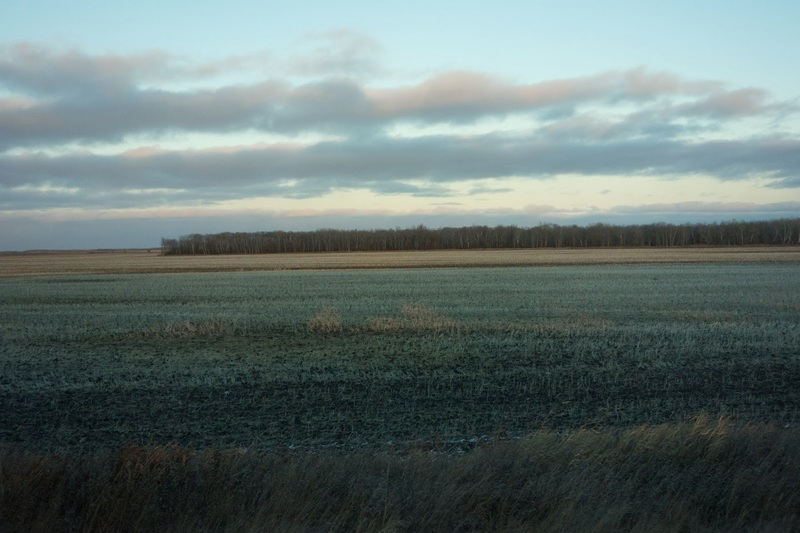 Earlier, in the dining car, I had a conversation with another couple about farming in Illinois. Such encounters are part of the magic of this trip, where you have chance to find out about lives totally different to your own. 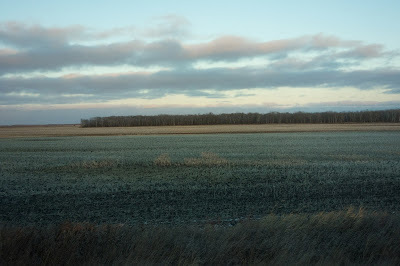 We’re still on the prairies, but it’s a promising sign that there’s now some snow on the ground, and in tribute to my first trip to Churchill three years ago, I’m drinking wine and listening to Edward Sharpe. In a few hours, the remaining 22 members of the GBF group will board the train at Canora, and many more tales will be told. It’s almost as much about the adventure of the journey than the destination, but I’m still finding it difficult to contain my excitement about encountering polar bears again. I met some Brits at the train station in Winnipeg who had just returned from Churchill. They confirmed other reports that bear activity in Churchill was high this year, and that Artic Foxes were also in abundance. I also caught up with an Albertan couple here, who like me, make the pilgrimage to Hudson Bay annually. Tom shares my enthusiasm for photography and I always enjoy viewing his amazing wildlife pictures and trading technical tips. 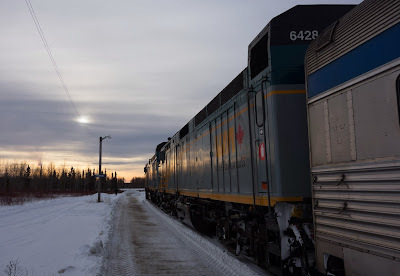 One of the joys of 48 hours on the inappropriately named slow moving Hudson Bay Express is the total absence of any communications, but this break from the Internet means by the time I can upload this post, I’ll have some more adventures to report on, and may even have seen my first bear.